Arizona is very strict when it comes to drinking and driving. First, it is much easier to charge someone with a DUI in Arizona; the only proof that is required is evidence that they were “impaired to the slightest degree” when operating a vehicle. Second, there are varying levels of DUI charges, and the greater the charge, the harsher the penalties. The basic DUI charge is a misdemeanor charge, and it typically applies when a driver has a BAC of 0.08% or higher. A driver can be issued an Extreme DUI when their BAC is 0.15% or greater within two hours of operating a vehicle or being in actual physical control of a vehicle. Because this charge indicates a high level of intoxication, and because it carries harsher penalties, it is imperative that those facing an extreme DUI charge in the greater Phoenix area seek out superior legal counsel. Contact us today to schedule a consultation. In a state with already harsh DUI laws, those facing an Extreme DUI charge are looking at strict penalties. First-offense Extreme DUI offenders typically face a 30-day jail sentence. Other penalties include fines, fees, and jail costs of more than $2,500, a three-month license suspension, an ignition interlock device installed on the car. Those convicted of a second Extreme DUI will be levied a correspondingly more rigorous sentence. The punishments include more than $3,000 in fines, fees, and jail costs, a one-year license suspension, required use of an ignition interlock device, and 120 days in jail. Of course, both first and second offense Extreme DUIs will be permanently marked on your record. 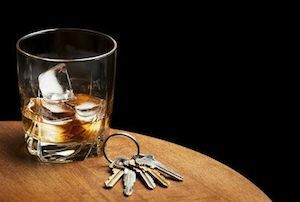 With an outstanding attorney like James Novak on your side, even if you are facing an Extreme DUI, there is plenty of reason to hope for a dismissal or a lesser conviction. If you are dealing with an Extreme DUI charge, make sure you give yourself every advantage possibly. Contact the offices of James E. Novak today to set up your consultation and to get started on building your defense. Mr. Novak will work tirelessly to examine every angle of your case and craft a solid defense. He is known for his vast experience and his true dedication to protecting the rights of his clients. I was facing criminal charges with three priors in my history. Mr Novak was very helpful and got me a lighter sentence than I probably deserved. He is a great attorney and I would highly recommend him. A. T.
James worked tirelessly behind the scenes with the prosecution, to decrease my son’s charges to a more reasonable penalty. I could not have asked for a better, more professional attorney. He treated my son with the utmost respect and walked him through every step of a very difficult situation. S. G.
Attorney Novak did an outstanding job defending my son. Due to his extensive professional background within the court system, he was successfully able to defend my son during a very difficult time for my family. I highly recommend Attorney James Novak for your legal needs. T. G.